Conversion Therapy for N.J. Gay Youth May be a No-No Soon. On March 17, 2013, New Jersey’s State Senate Committee heard testimony from LGBT activist Troy Stevenson who spoke about the suicide of an individual who had tried conversion therapy which purports to fix homosexuals and convert them to heterosexuality. The Committee also heard from organizations which support young LGBT people on the dangers of conversion therapy, especially for minors. One woman recounted how she had been subject to electric shocks during conversion therapy. The bill A3371 being considered in the Senate would prohibit licensed therapists from performing controversial therapy aimed at converting minors from gay to heterosexual. The Health, Human Services and Senior Citizens Committee moves the bill to the Senate. Backed by the American Psychological Association’s research, the legislation, if passed, would prohibit counseling for any person under the age of eighteen, that seeks to change the sexual orientation. The law, even with parental permission, that bans this reparative therapy is not favored by everyone. New Jersey Family Council says “it will infringe on parents’ rights, on their ability to do what they think is best for their children. The lead sponsor of the bill which bans licensed practitioners from performing conversion therapy on minors is openly gay Democrat from Bergen County, State Assemblyman Tim Eustace. Representing District 38, and endorsed by The Victory Fund that “elects LGBT leaders to change American politics,” Eustace spent ten years as a councilman in Maywood, New Jersey. He was Chamber of Commerce for twenty years. 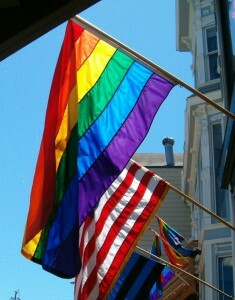 New Jersey would become the nation’s second state to ban “gay-to-straight” conversion therapy. California passed a similar bill signed into law last September by Governor Jerry Brown. The law was set to take effect on January 1, 2013, but the United States Circuit Court of Appeals last month issued an emergency order putting the California law on hold until it can hear full arguments on the issue.